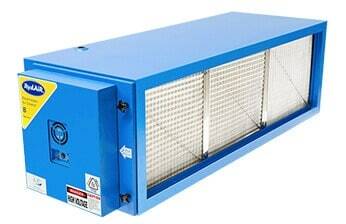 AOS electrostatic air cleaners effectively capture and trap smoke, grease and dirty particles through ventilation systems to provide clean air and odour management. 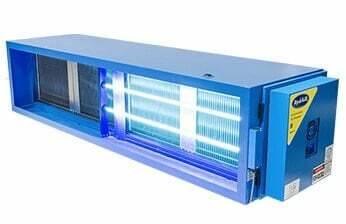 UV Ozone breaks down grease and oxidises particles thus eliminating odours that normally flow out the kitchen exhaust system into surrounding buildings. 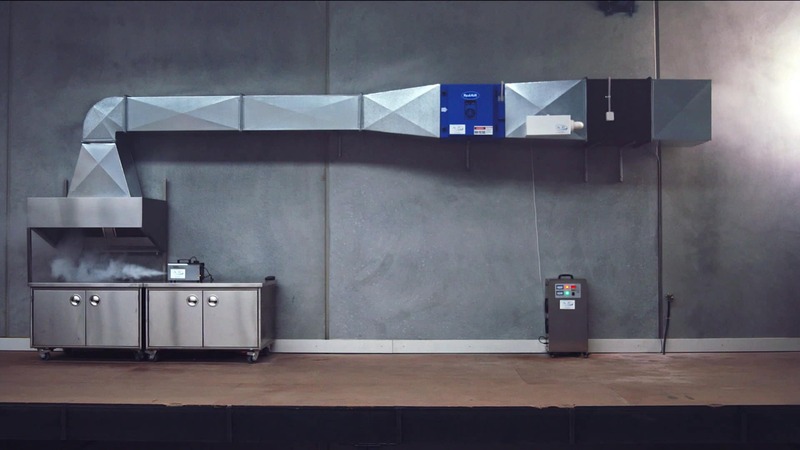 By reducing commercial kitchen duct cleaning and maintenance needs of high-use duct systems, customers can save up to 3/4 of their related ongoing costs. 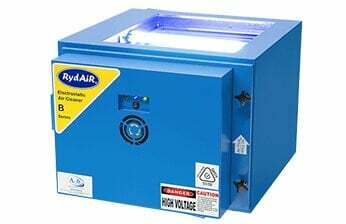 Air & Odour Solutions Australia provide products and solutions that are certified to ASHRAE, AS1668, BCA and are Australian and New Zealand Electrical Tested. Single phase (IPH, 240 volts) cable connection. 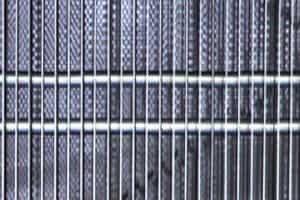 Electrostatic precipitators use high voltage electricity to remove smoke and during the final stage, it treats the smoke with UV ozone to remove odour. 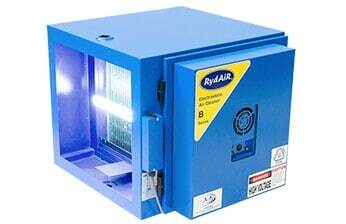 UV Ozone works by oxidating odours and grease and finally turning grease compounds into fine particles. 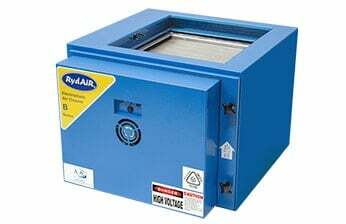 The utilisation of electrostatic and UV ozone filtration in our commercial electrostatic air cleaners allows for smoke and odour free exhaust discharge. The electrostatic with UV ozone reduces the oil and grease build up in the kitchen exhaust duct work thus eliminates fire risk. Why our customers choose to work with us. We are one of Australia and New Zealand’s leading suppliers of air and odour removal technology and kitchen exhaust systems. Since 2011, our products have been used in a wide range of projects from large shopping centres such as Westfield and East Village, to restaurants such as Oporto and Texas Chicken. With over 35 years experience in the commercial ventilation industry, we have the resources and expertise in consulting on even the most challenging jobs. We continually invest in staying ahead of the curve when it comes to commercial ventilation products because we understand that the industry demands the best we can offer when it comes to compliance and mandatory standards in Australia. 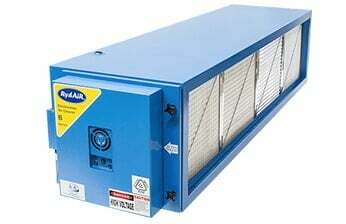 Air and Odour Solutions Australia keep a large quantity of stock in our factory in Sydney. 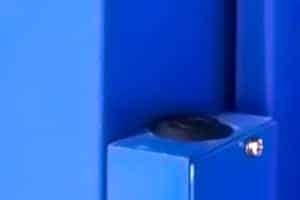 We believe that it’s essential that we have stock on hand to reduce the lead time in getting the product to the customer as well as having units readily available due to unforeseen circumstances. 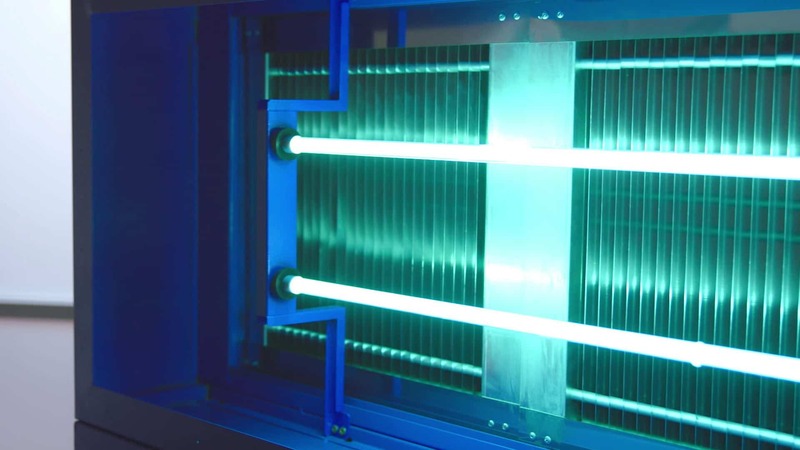 We are a value-added business, and we are continually looking for better ways we can innovate HEPA filter technologies. 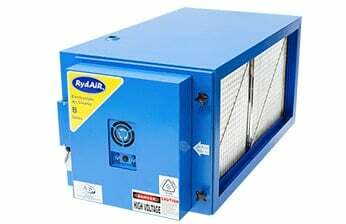 The only electrostatic precipitator to have Australian and New Zealand electrical certification for your air and odour management solutions. 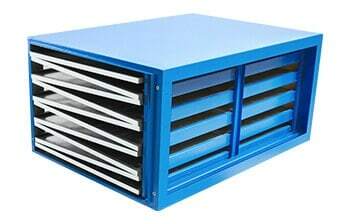 All Electrostatic precipitator are tested to the latest ASHRAE 52.12 (method of testing air cleaning devices for the removal efficiency by particle size). 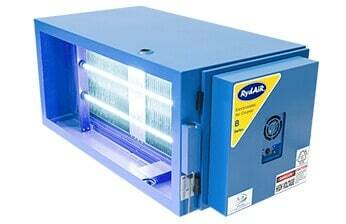 The best seller the 2 in 1 electrostatic air cleaner with UV ozone removes both smoke and odour from the kitchen exhaust system. 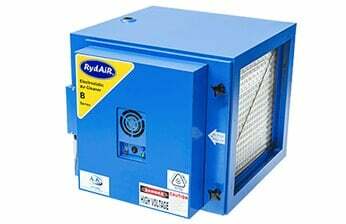 RydAir air filtration products are distributed to 30 countries world wide. 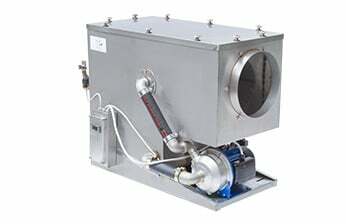 AOS has 30 years of experience in the HVAC industry. AOS filtration products allows for horizontal street level discharge resulting in a clean air discharge certified to AS1668 & BCA performance requirements. Continuous research and development results in a refinement in our design to suit a changing environment. All changes are field tested for suitability before the models are launched in the market. AOS electrostatic precipitators have been independently tested by environmental consultants. The air quality assessment being conducted includes air sampling and modelling. 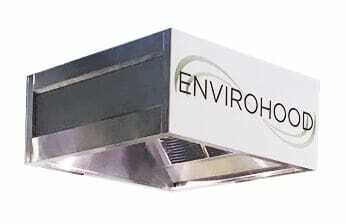 Envirohood type 7 priority kitchen exhaust hoods have been independently product certified by Global-Mark. 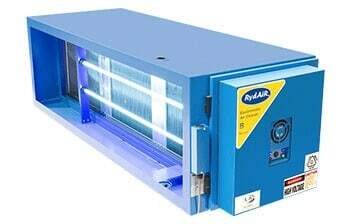 AOS Commercial Electrostatic Air Cleaners is the absolute cutting edge in smoke removal. 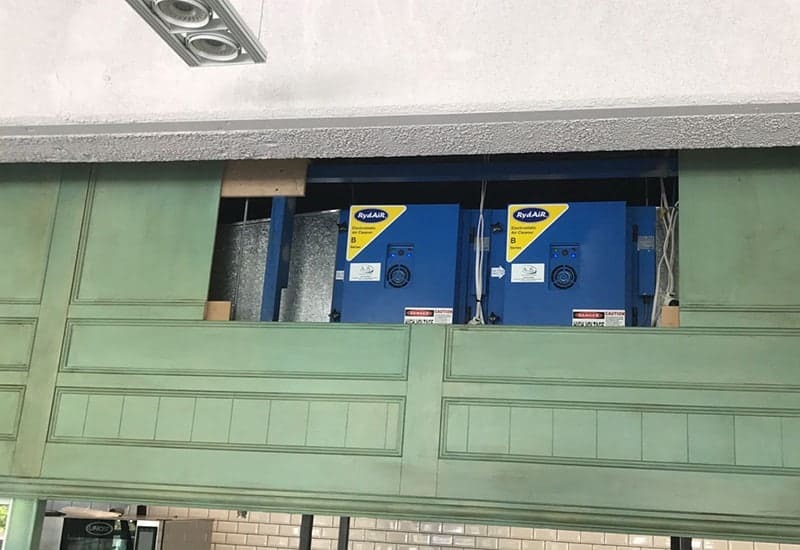 The ESP will remove the smoke from the extracted air from the commercial kitchen exhaust hood and features an innovative modular design that will allow multiple ESPs configured into different scenarios based on the needs of the project’s air filtration system. Our ESP units feature a low-pressure drop which means cheaper energy cost and with 95% efficiency in a single pass configuration or 99.9% efficiency in a double pass arrangement, our team members can consult the best workflow for your project today. AOS has experienced the upward trend of customers exploring the option of our products due to smoke and odour complaints from residential and commercial neighbours or a formal compliance complaint from centre management, body corporate or the local council. 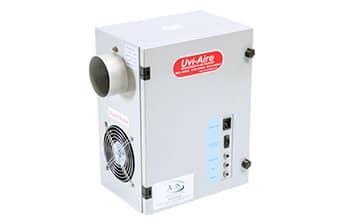 We recommend a variety of products including Odour Control Systems, Ozone Generators and our most popular 2-in-1 UV Ozone Electrostatic Air Cleaners. 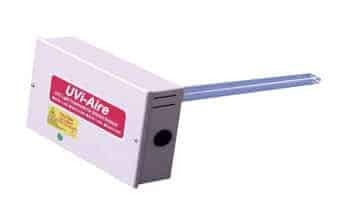 Our 2-in-1 UV Ozone ESP units not only features the benefit of smoke removal from grease, oil, dust and cooking fumes from a busy, fast-paced commercial kitchen ventilation but include the added feature of odour removal. 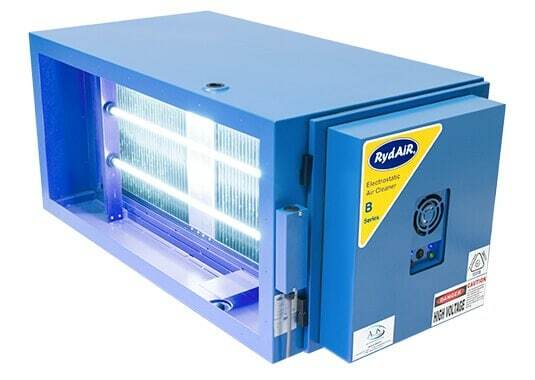 As council regulations are becoming more and more strict in councils across Sydney, Melbourne, Brisbane, Adelaide and Perth, by implementing an ESP with UV Ozone, you will not only comply and exceed the legal requirements but will pass the benefit onto the customer. The ever-increasing electricity price hike has businesses looking for ways they can become more efficient. 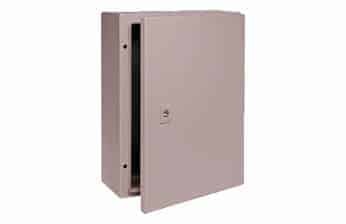 Air and Odour Solutions Australia (AOS Australia) started as we saw the in inefficiencies in commercial kitchen ventilation in the hospitality industry. 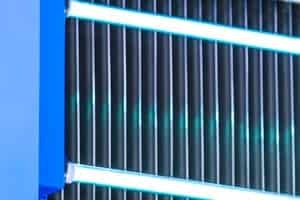 By implementing electrostatic filtration, you are reducing the cost by increasing energy efficiencies into your workflow. 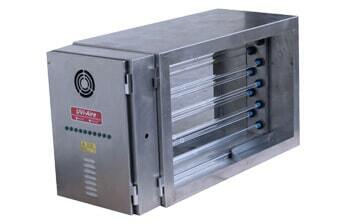 Our units feature low-pressure drop in removing particulates that are passing through the kitchen exhaust system. 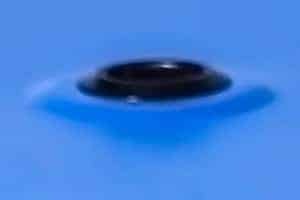 This technology utilises very little energy and has lower maintenance and replacement cost. Our units have been implemented by small and large business across Australia and New Zealand. The efficiency in removing smoke and odour and cost-cutting in energy consumption and maintenance is the main reason why our air filtration products are successful in the competitive marketplace. We are the only supplier in Australia to invest in continual research and development, comprehensive testing including electrical certification to AS 1668.2 2012 and international standards. 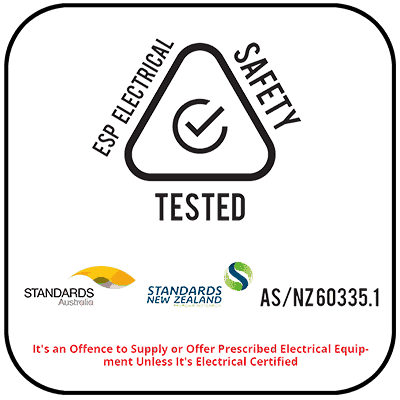 In fact, AOS is the only air filtration supplier in Australia to have our ESP products electrical certified. This process involves modification to internal electrical components and wiring to ensure that our ESP products are the safest and to the highest of possible standard in the Australian and New Zealand market. Please refer to Product Safety laws for information on your rights and obligations as a supplier in Australia. So what exactly does this mean for our customers? It signifies that when you implement an AOS products into your workflow, you can do with the confidence and assurance in knowing that it is future proofed to any possible safety standards changes in the years to come. The benefit of safety is passed down to your customer as it minimises the risk of any product recalls, damaging of your reputation, exposure to your business to any legal or formal complains as well as just any downtime due to poor compliance.